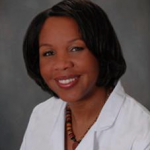 Wynn is a Medical Director for Summit Medical Center who does medication abortions on Tuesdays. Wynn Obstetrics and Gynecology corporation filing in Michigan. 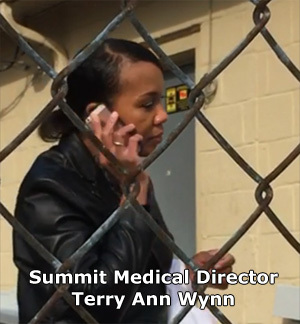 Terry Ann Wynn registers herself as Summit of Detroit, PC. Wynn lists herself as president, secretary, treasurer, director, and shareholder. See pages 1-2. Michigan speeding ticket case history for Terry Ann Wynn. Appeal to U.S. Sixth Circuit Court of Appeals (Tennessee). Terry Ann Wynn sues policeman Chad Estes over a disputed traffic stop. Officer Estes pulled Wynn over for speeding, but Wynn drove away without providing her driver's license and proof of insurance. Officer Estes pursued Wynn and arrested her when she arrived at the hospital where she worked. Wynn sued the policeman and the City of Pulaski, TN, and alleged that Officer Estes used excessive force during the arrest. Officer Estes alleged that when he pulled Wynn over for speeding, she failed to inform him that she was a medical doctor on the way to the hospital to deliver a baby, but instead allegedly sped off without allowing Officer Estes to complete the traffic stop. Officer Estes further alleged that Wynn resisted arrest and refused to cooperate when he apprehended her at the hospital, leading to her forcible arrest. See pages 2 and 11 for filing details (page 14 of 255, and page 23 of 255). See pages 20-37 (page 33 of 255) in appeals case document for description of events.